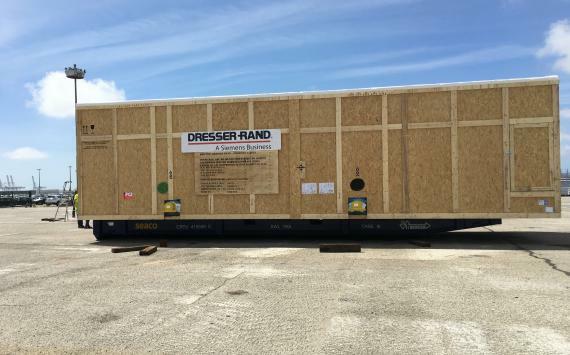 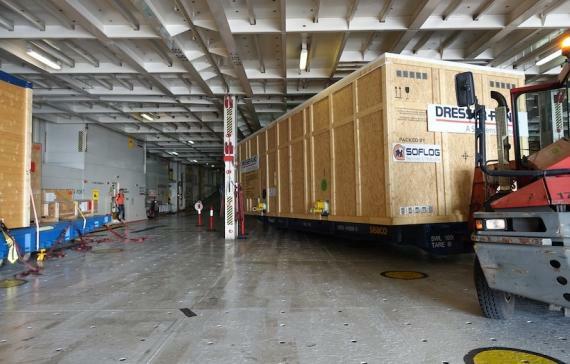 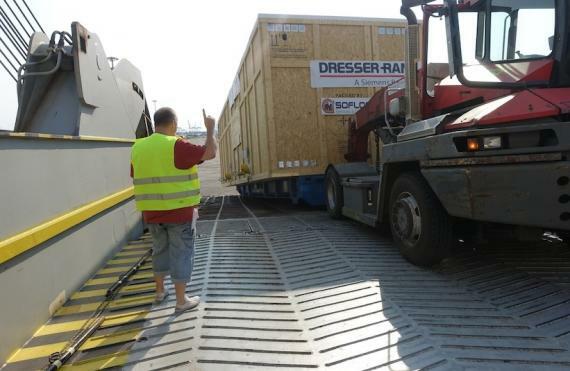 France Cargo International (FCI) are pleased to share the below photos of compressors, each weighing around 60tns, shipped to Abu Dhabi by RORO vessel. 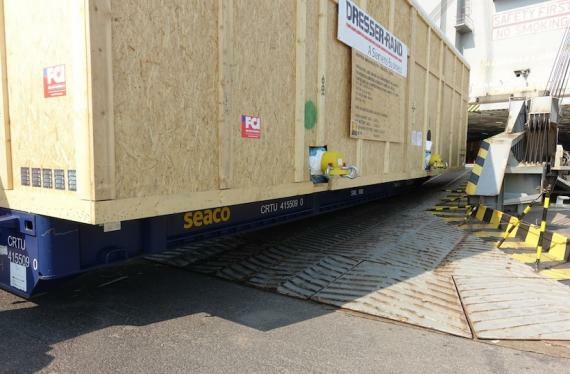 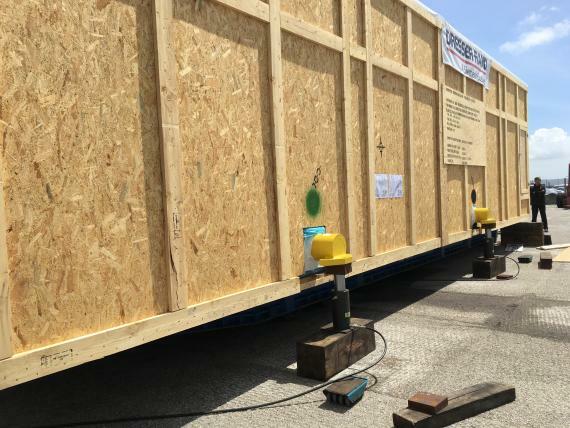 Denis Mandil (Chairman & Executive Manager at FCI) comments; "Instead of mobilising heavy cranes for the loading from trailer to Mafi, we used a hydraulic jack system. 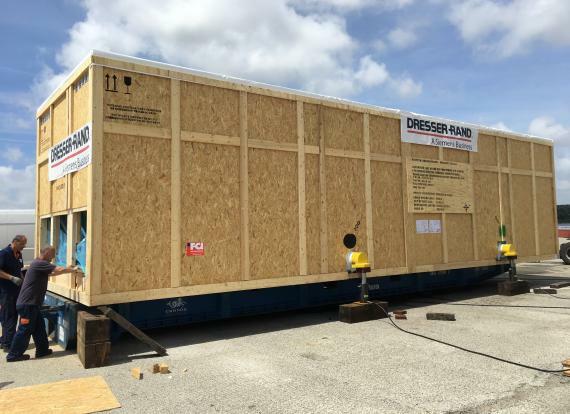 We lifted up the compressor packages from the trailer with 4 x hydraulic jacks and carefully laid them down on the Mafi." 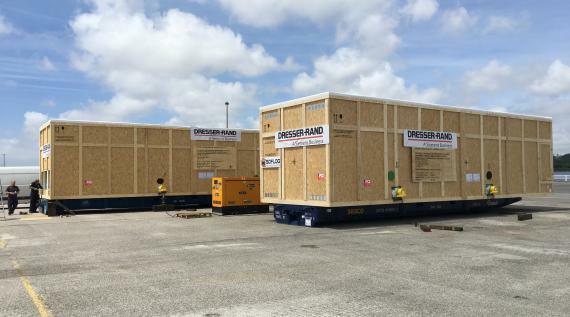 FCI have a further 3 shipments planned for the same client (Siemens) to export from Germany, India and Italy to the Middle East.